Last week, Pacer Philippa & Harlem Run regular, Portia, organized a group hike to Bear Mountain. During this day trip out of the city, we were able to breathe fresher air, explore new trails, and reflect on how fitness weaves its way into our lives in various forms. 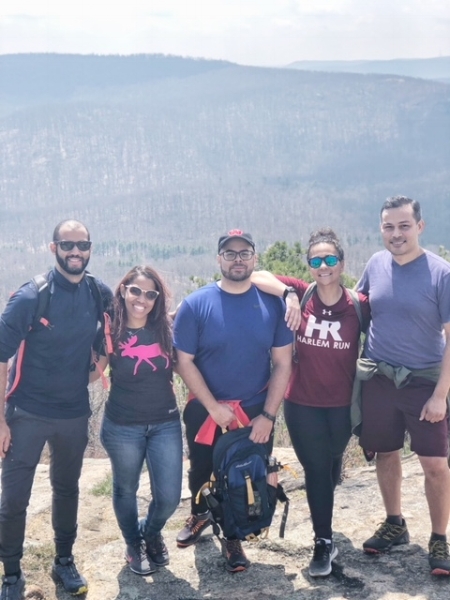 In this week's blog, Chris and Anthony share what this hiking experience was like for them. Are you interested in exploring different areas while still staying active? Harlem Run & Under Armour are headed to the mountains! Although instead of Bear Mt., we'll be headed a bit farther. We're going to be repping Harlem Run during UA's Mountain Series, and we want runners & walkers of all ability levels to join us! 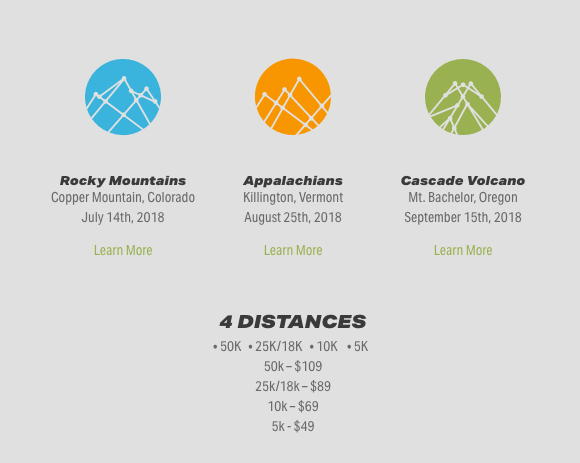 These events will take place in Colorado from July 13-15 and Killington, Vermont from August 24-26. Please visit THIS POLL for more pricing information and to express your interest. Please also see the above image for pricing on individual races. We're very excited about this event and hope that you can make it! What an exciting day of being outdoors and meeting new people while enjoying time with friends. Hiking at Bear Mountain was a good push for me. The hike worked me out. The best part of the hike was reaching the tower at the top and seeing the beautiful view and taking that in with great friends. Hiking bear mountain was a great experience. In part because as people of color we're not know for enjoying nature, but also as transplants to New York we don't often leave the city. What's your favorite part about being outdoors? Drop us a line in the comments! And let us know if you'll be joining us for the UA Mountain Series.